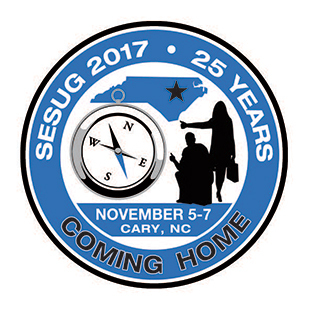 SESUG is offering Professional Development Grants for qualified applicants to learn more about SAS® by attending the SESUG 2017 conference in Cary, NC (SAS® Campus) - November 5-7, 2017. Currently use SAS software as part of employment. SAS software user (other than student use) for 36 months or less through October 2017. NOTE: Priority will be given to applicants from the SouthEast region with SouthEast region presenters given the highest priority. Second priority will be given to applicants from the Northeast region since they do not have a conference. Applicants from other regions will be considered only as funds allow. Reduced registration rate of $50. One four-hour workshop of your choice. Up to $300 travel stipend based on receipts, available to presenters only. Food is NOT covered other than food included in the registration. Network with other SAS users. Learn about SAS use in many industries. Expand your SAS knowledge and skills. Gain experience presenting your SAS work (encouraged, but not required). Learn more about career opportunities for SAS users. Thursday, March 30, 2017 - Grant application available on SESUG Website. Monday July 17, 2017 - Extended Grant application deadline. Friday, June 2, 2017 - Extended deadline for abstract submission. Wednesday September 27, 2017 - Final papers due. If you are interested in presenting please review the information on the SESUG website under the PRESENTATIONS tab and while you are there check out all the other conference information. We hope to see you at SESUG! Copyright © 2017 SouthEast SAS® Users Group. All Rights Reserved.